What is Adobe Creative Suite? Adobe Creative Suite 6 software delivers a whole new experience for digital media creation, enabling you to work lightning fast. I like how you can get to all of the different programs from one dashboard. It makes it easy, as it shows you everything that needs to be updated, and you can do it right from that main screen. It also makes it easy to see if you don't have a certain program downloaded on your computer, and you can do that in an instant. It's a little hard to see, as you can't make the screen any bigger on it, and it was a little confusing at first with the apps being similar and thinking I had certain products included but I really didn't. Make sure to keep checking the suite for updates! They have new things on there all the time, so make sure to update your fonts and your apps so you are up to date! I only pay for the $9.99 per month package, and it's exactly what I need! I use the Creative suite for so many different applications. I use Spark, Photoshop, lightroom, and Premiere Pro more than the others, but I love how easy it connects all the applications together, so that if you download new fonts, it automatically updates them on each product you have. The Adobe Creative Suite provides all the tools I need for design of documents, graphics, and videos. It is very efficient that there are natural connections between platforms like Photoshop and inDesign and Illustrator. One of my favorites APPS is Adobe Spark, a template, drag-and-drop, system for creating marketing video, particularly for social media. Spark provides all the tools, from styles to music backgrounds. There is very little to dislike about the Creative Suite, but you do need training to use the applications, they are not really intended for novices. I highly recommend the suite if your business requires design projects, document management, or even video creation and editing. One of my favorites APPS is Adobe Spark, a template, drag-and-drop, system for creating marketing video, particularly for social media. Spark provides all the tools, from styles to music backgrounds, all you need to provide is the idea and text to express your idea. Spark leads you through the creation and editing process and when you are finished, it compiles the file in an easily, downloaded format. I use the Creative Suite to create and edit universal PDF documents in Adobe Acrobat DC; Photoshop to create graphics and print projects; and Premiere Pro to create and edit videos for podcasts, webinars, and social media platforms. As a non-designer user of the CC Suite, it is relatively simple to comprehend the menus and using common processes, albeit unique language, to use menus and systems of the other platforms. Adobe Creative Suite has all tools that you need to work with 2d images, video, and sound. The suite includes the best to work with vectorial images (Adobe Illustrator) Image Editing (Photoshop, Bridge, and Lightroom) Editorial (Indesign) Video editing (Premiere and After Effects) and so on. What I like the best is the interoperability between the different programs, they all have the same language and interface design, even if the commands are not the same you can get them as soon as you enter the main screen. The toolbars and workspaces are similar so there is some advantage there if you haven't worked with one program and you want to start learning other on the suite. Since I started working with Adobe (version CS) I haven't found too many thinks that I dislike. The products that I use the most don't have something that I dislike. If you are a designer this is a must. Forget about other programs and competitors. Adobe has the tools that you will need. Making presentations is vital to communicate clients design concepts. Is the end of each face in my job. Every time that we have a meeting we show the client a "deck" that was produced in some of the Adobe programs. "Review for Adobe Creative Suite"
With the full creative suite, I can pick and choose which apps I want to download. It's nice that I have access to all of them but, realistically, I only use a handful of the many adobe applications offered. While this does give me the chance to try new programs and learn new things, it's not something I have time to do. I also enjoy that the desktop app shows you if your apps need updated as well as tab to learn, stock photography and Behance. I don't have an issues with how Adobe Creative Suite is setup. True, sometimes the programs can crash but every program does that at least once. I do wish that they would redo some of their subscription plans. Yes, they offer discounts every now and then and if a business or school is paying then they get a good deal. But hobbyist, freelancers and small business end up in a hard spot as most only need two or three of the programs and at the point it's cheaper to buy the full suite than to buy them separately. With Adobe Creative Suite it's best to just buy the full creative if you're not focused on photography (in that case, go with their photography pack). You'll have more programs than you need but it's better to have them all, instead of paying for three or four individual ones. With Adobe suite we can create a multitude of designs and projects spanning from graphics to video. The best benefit with suite is that the programs interact well with each other. So if you need to move something from Illustrator to Photoshop or InDesign, it's easy! "Adobe is great, if you use it monthly." I love all the different skills I can practice in Adobe Photoshop. I've used InDesign for years in yearbook and I appreciate how empowering it is. Photoshop has made me much more creative. It's helped me teach things about photo editing and color theory. I dislike monthly subscriptions. I dislike how long it takes to get to learn all the perks of its respective programs. It's difficult to sell other people on this tool because it's almost as if you have to take a semester class just to be able to do the basics on it... Not that that is the company's fault, but still. Packages, more discounts, opportunities for teachers/students. It'd been helping get another teaching credential. It would help me with my personal artwork as well. "El mejor gestor de apps para diseñadores"
Adobe Creative Suite tiene todas las herramientas que necesita para trabajar con imágenes 2D, video y sonido. El conjunto incluye lo mejor para trabajar con imágenes vectoriales (Adobe Illustrator) Edición de imágenes (Photoshop, Bridge y Lightroom) Edición editorial (Indesign) (Premiere y After Effects) y más. Lo que más me gusta es la interoperatividad entre los diferentes programas, todos ellos tienen el mismo diseño de interfaz y lenguaje, incluso si los comandos no son los mismos, puedes obtenerlos tan pronto como ingreses a la pantalla principal. Las barras de herramientas y los espacios de trabajo son similares, de modo que hay algunas ventajas allí si no ha trabajado con un programa y desea comenzar a aprender otros en el paquete. Desde que comencé a trabajar con Adobe (versión CS), no he encontrado nada que no me guste. Hacer presentaciones es vital para comunicar los conceptos de diseño de los clientes. Es el final de cada cara en mi trabajo. Cada vez que tenemos una reunión mostramos al cliente un "mazo" que se produjo en algunos de los programas de Adobe. The Adobe Creative Suite has software for the creation/editing of basically ANY kind of media you can think of. Photo/video editing capabilities of Photoshop, Premiere and After Effects, 3D character creation with Fuse and website development with Dreamweaver and Muse - the Creative Suite really does do it all. And, if you're a student, you can access the entire suite for less than 20 bucks a month- an absolute steal. The option to work on collaborative projects (Premiere and After Effects) is limited to the Creative Suite Business subscription, and is not included with any other type of subscription. This makes the feature impossible to use for people who already subscribe to the individual plan. Every project that I've edited in the past 5 years or so has been completed using the Adobe Creative Suite. And because of Adobe's tight integration across software/platforms, moving between products and features is effortless. I like the variety of programs and how they all work together. Adobe Creative Suite is the only way to go if planning to go professional with your designs. Adobe is constantly monitoring and updating the programs, so you do not have to worry about having an out of date file. Another benefit is you can be assured that you will be able to open files from other designers and no longer have to request legacy files. The programs allow you to save your work in any commonly used formats. Can import most vector graphics from any other programs with minimal to no distortion. The Adobe Creative Suite, no known as Creative Cloud is a dream come true for every graphic designer. A complete collection of tools for every need and purpose. The collection of apps, assets and stock makes life very easy. The update option is pretty easy and quick although it can slow down the system on the rare occasion. The option to discover new designs and illustrations is pretty useful as well. There's not much to dislike. It's been built and designed pretty well. On a very rare occasion, the updates may cause the system to slow down but otherwise it's been fine so far. If you're job/business requires designing, Adobe is the way to go. The perfect set of tools for all purposes. It can be a bit intimidating to learn at first due to it's heavy UI and massive evolution over the years but they have a very thorough help and tutorial section and YouTube is full of helpful videos that can make learning the tools very simple and easy. Graphic design, collateral design, case studies, publishing articles, stock images, online database of assets. "Adobe Creative Suite: tons of toys, hard to use"
I love everything that Adobe Creative Suite can do--there is SO much functionality packaged together, if you know how to use it. All of the Adobe programs are hard to use and non-intuitive, and there is so much functionality that it becomes hard not to get lost if you are not an expert level user. There are also a lot of issues with how Adobe products work with other products. We use Adobe RoboHelp, for example, and the biggest pain point we have is getting exports into MS Word to work correctly and not have horrible formatting issues. Also, the customer support is truly terrible. There aren't really any good options for what Adobe does besides Adobe, so settle in and prepare for a lot of frustration and the need for a lot of training. Also, find message boards for help, because customer support from Adobe is very nearly worthless. We use Creative Suite for several things, but the biggest is using Captivate and RoboHelp for online help for our application. The benefits are that we can do it--create and update decent Help. "Adobe CS - The one stop for everything Adobe"
The biggest feature for me is that it IS the central hub for all of my Adobe applications and activities. The ability to centrally upgrade my apps, track my assets and search for stock content all in one place is very convenient. My only dislike would be that on occasion the service will disconnect me and I will need to log back into the service. While is is an integral part of any of the recent Adobe software packages sold these days, do not just install and forget about the Suite integration in relation to all Adobe software and services. It is a powerful part of the product. Streamlining processes and saving time by having multiple features that I use regularly all in one application helps increase productivity. I like how everything is connected. When you work in Photoshop, those files can transfer to After Effects which then transfer to Premiere. Its very cohesive which makes it so much easier. Adobe Creative suite also lets me use multiple computers and all you have to do is sign in to your account, and I enjoy that. It can crash frequently and that can be an issue, especially when you are knee deep in an unsaved project. I am not a fan of how if you use an upgraded program and then try to use the previous version, it won't work and an error will occur. I think you should be able to sync your project with any version that is being used. I recommend Adobe because it is more advance and your projects will look very professional. There are so many ins and outs to these products that you can create, animate, and explore your projects. I am currently advancing my skills in After Effects and it is also teaching me through this to learn more Photoshop and Illustrator along the way. Using Adobe makes for a faster work force which than can produce content faster. Powerful design and image editing tools for designers of all experience levels. In addition to the traditional design software, offers additional programs for video editing, game editing, etc. The desktop sync features don't work well. You can have programs on multiple devices but your desktop and tool features don't seem to sync to one another, making for a bad user experience when you're switching devices. They also don't get stored in memory and usually are wiped when new iterations of the programs come out. These are minimal things, but are drawbacks from the usability of the tools. We create mockups of website and app designs using Photoshop and Illustrator, as well as using InDesign for creating documentation. "Adobe Creative Suite is a robust and powerful solution"
I can't compare it to anything else, at least that I'm aware of, with the exception of maybe the Microsoft Suite in terms of multiple applications. It allows work to seamlessly be edited from application to application and everything speaks to each other so there are consistencies across each application which is very helpful! I love the assets that are free for downloads in the Creative Cloud and use it almost every day! If I could name one dislike it would be the fact that when I make an edit I'd like to undo you can, for example in AI or PSD, only undo one item and then have to "Step Backward" (I'm fairly new to using the program so there might be a reason for this), but everything I know has been self taught and there are probably easier ways to utilize tools but I find that the training provided is either too basic or far too advanced. It may be expensive but it is definitely worth the investment. The possibilities for improvements across a number of programs and projects your company works on is limitless. Having the ability to utilize the tools and resources at any time is invaluable and I would highly recommend! I use Adobe Photoshop for various projects, a general go-to app, Adobe Illustrator for vector graphics, app icons, etc., InDesign for printed material and marketing materials, Adobe Dreamweaver for HTML creation, and Adobe Acrobat for PDF purposes. Before I was given a license from my company I would spend hours using horrible programs and once I started using the Adobe Creative Suite I not only saved time but I produced my best work yet. I like that there is a product for every projects that I'm working on. The fact that they are all connected by the same suite makes it easy to use multiple programs together on the same project. I also like that now with Creative Cloud, you are always up to date with the latest updates in the programs. I don't like that you can't pick and choose how many programs you actually need at difference price brackets. There are many programs that I will probably never use for my jobs, but I'm still paying for them all anyway. We use Adobe Creative Suite for web management/design, as well as marketing collateral, both print and digital, solutions. The benefit is that since they are all Adobe programs, each of our team members are able to use all of the programs easily. "Creative Cloud Keeps You on Cloud Nine"
This is the greatest collection of creative software you can buy. It is integrative and accessible from other applications. The fact that there is no Linux version of the software. Make sure you have enough RAM on your computer to use some of the more memory intensive programs such as AfterEffects and Premiere Pro. Some of the programs save files in a confusing way. Be sure to keep track of where your files are stored on your hard drive. Everything from photo retouching, or logo design to web work and multimedia production. It is fairly intuitive and makes it so easy for me to add simple graphic elements to documents make them look even more professional. I like that I can customize my own workspace, and InDesign tutorials are easy to find and usually very helpful to learn new features. The paragraph style options makes my life 100 times easier and allows for a lot of customization. The "Save" and "Close" options are right next to each other in the "File" drop-down menu. Take advantage of Adobe support to learn about cool features that make your work even easier to complete. I have also had so many questions answered by googling InDesign support forums. I use it to make RFP responses look more professional and branded. I have so much control over everything on the page. The variety of software available is amazing. The tools provide a limitless creative experience for designers. The shortcuts do not always overlap between the software, but they are not that hard to get used to. If you are in the design field or looking to become a designer with a wide-ranged skillset, CS is for you. It is definitely worth the money if you make use of all the tools available. It is great for UI/UX design, visual design, graphic design, branding/marketing, motion-graphics/animation, game design, and more. Adobe Creative Suite is great for visual design, UI design, graphic design, marketing, and experience design. It proves designers with a wide range of extremely useful tools. Access to multiple apps does end up being beneficial and nice, on occasion. That's really the only think I can think of as a positive. Access to all of Adobe's software for one price. Well, you're paying for access to all of Adobe's software at one time, which you may not need. And it's a subscription service, so it means you're locked into very expensive monthly payments in perpetuity. It's expensive, especially if you're interested in using a specific software for one month or not committing to a yearly contract. It feels like an "offer you can't refuse." If you only need something like Photoshop, there is a photography plan for only $10/month which is worth looking into. Also, there is very high quality competing software available for photo editing and also vector graphics that are worth looking into if you only need that type of software, like Affinity Photo and Affinity Designer. Again, having access to all the software is nice, when you need it. Also, it includes free online storage space. "I've been using Adobe Creative Suite for work and personal use for several years." What I like the best about Adobe Creative Suite are the powerful design capabilities it gives me. The Creative Cloud continues to improve, allowing 20 gigs of data, cross-device sync, library and font sync, and the ability to use anywhere! It is the best of a web and desktop app in one! I've also really enjoyed trying out Adobe Capture for quick ideas on the go, but would really like more functionality on my Android device. iOS has the corner on this, but hopefully Adobe developers are working to get this to the Droids too! What I dislike the most about Adobe Creative Cloud is the cost. It can be expensive if you're not using it constantly, or if you want a variety of applications, but not all of them. It would be great if there were a "build your own subscription" to go along with the more limited suites Adobe has created. One thing I've always had a complaint about is the load time of each application, and the drag it puts on your system. I feel like the load time has actually improved, but the drag is noticeable on certain computers. If your organization has a team or staff member who is capable of utilizing Adobe Creative Suite, and you often hire designers or printers to design print collateral for you, this is a great solution. If you create lengthy documents or multiple design elements for print or web, Adobe Creative Suite will meet all your needs. Having the ability to do in-house design has been an immense money saver for our organization. We can quickly proof, edit, and update our designs without having to go back and forth with a designer, or pay billable hours to a firm. "Adobe Creative Suite Review (from a Graphic Designer)"
The Adobe Creative Suite (Creative Cloud) is the product I currently use in my profession. I really don't know what I would do without these programs. I chiefly use Adobe Illustrator, Adobe InDesign, Adobe Photoshop, and Adobe Acrobat for my work. Each of these programs has its benefits, but all of them together make up the perfect setup. They are each beautifully designed for function as well as user ability. All of the things I need to do for work can be achieved by using one of these programs. In the recent past, the crossover between InDesign and Illustrator has been smoother. I would like to see this transition happen with the addition of Photoshop. Some of the newer changes to Illustrator with the guides snapping to certain points is pretty irritating. There are too many points for it to snap to. I think it should just go back to snapping to main points. Other than these small issues, these programs are nearly flawless. If you are looking for software for any type of Graphic Design, look no further. The Adobe Creative Suite (CC) is the best set of programs out there. The user interface is easy to use (once you learn some of the basics). Just give it a try. As mentioned previously, you can find out how to do anything for these programs on the internet - even on YouTube. With Adobe Creative Suite (CC), I solve just about all of my business problems. I create everything using them. When starting a document for whatever, I just use InDesign. No more Microsoft word! There are just so many benefits to each of these programs. Online, you can find how to do just about anything for Graphic Design using these programs. They are just so great. What do I like best? The fact that you can pay a very low monthly amount and have access to the entire Adobe Creative Suite while running the most up-to-date versions at all times. This is just a deal you cannot beat. I haven't found anything yet I dislike. I'm just thrilled about this product. It is literally a design studio in a box. I remember the day when we had to purchase these products individually and load them onto your computer via disks. For a small company, the cost of each of these products could really take a toll. Combine that with future update costs it was just too much. This Creative Cloud thing is a God-send. For a reasonable (not cheap, but reasonable) monthly fee I've got all the programs I need with all the "latest and greatest" versions. I couldn't be happier. Adobe has made it affordable for the "little guy". If you are a design studio, you simply cannot afford not to go the Creative Cloud route. The problems I'm solving is that I have the most recent versions of all of the programs that I use daily for a very small monthly fee. Combine that with Adobe Stock Images and I have everything I need as a small design firm. Illustrator, Photoshop, InDesign, Acrobat . . . this is the best sound business decision I've made in regards to the purchase of software. "Best Suite for Creatives... Easily"
Creative Suite, or CC now, is one of the best suites of software for creating literally anything. How everything works seamlessly together in invaluable. Around new releases, it crashes a lot. Sometimes buggy, but I keep an old version and a new version just in case installed. Jump into this software headfirst! Great community and help to learn... just learn how you can use all the apps differently in your workflow, and headaches go away! Let's me get my work done faster in the exact app that I need. Photoshop to After Effects, to Premiere, to Audition, the workflow is amazing. "The greatest creative tool ever created "
Adobe creative suite is amazing. With low cost options, you literally have access to any program that you will ever need. The best part is that with all the tools under one umbrella, you can easily learn to use programs that you never would have thought about getting into. This can easily help you increase your skills and become more marketable in different areas. I also like that any time an update comes out for a program, it becomes immediately available so you are always working with the best tools possible. I'm still learning a lot about each program and the suite itself, so right now I don't have anything that I severely dislike. DO IT. seriously..it's amazing. Everything you'll ever need is in one nice little package. Also, if you're a video editor and you're still using final cut then I will just say you need to switch to Premiere Pro immediately. You're welcome. All of them. We have an entire team of artists, audio engineers, video editors, writers, etc and every single one of us can work together using the creative suite to get the job done. What's also great about the suite is that everyone can learn at least a little bit about all of the products offered. This allows us to work together better and figure out new and creative ways to do things. "The best solution for photographers and designers"
I use the photography package of Adobe creative Suite - Lightroom and Photoshop. I was initially opposed to using a cloud based editing software but found that I love how you can install updates at no extra cost. It makes the monthly subscription costs worth it. It works just like the locally installed older products Adobe had with discs. But you aren't shelling out hundreds of dollars every time they come out with an upgrade by using the cloud based CS. It is simple, fast and easy to login and open programs. As mentioned in a previous review, Lightroom tends to run slow while working with a huge batch of photos in a catalog. Other than that, the ease of making adjustments with sliders that are non destructive are great. I think making this cloud-based is less strain on computer hardware though. If only it could handle huge amounts of large photos at once, this would be perfect. You will save money if you purchase a monthly subscription package instead of just buying a subscription to just one program (for example, the photography package with Lightroom and Photoshop together for $10 instead of just one of those for $20). Being able to install creative suite on 2 computers with one subscription makes it ideal for someone like me who works from multiple computers at different places throughout the week. The design programs are also the best you can use for design and photography. "Some of the best, but costliest, software out there." If you're willing to pay Adobe's exorbitant startup costs for the software itself, it really is a fantastic set of programs. You can create almost any digital product you can think of, and in almost every category of work, Adobe's program rivals or exceeds its competitors. Adobe is responsible for nearly all of the photo editing on the internet, and is also used for most online comic strips and other vector art. The startup cost for Adobe is pretty steep (the full suite is 600 dollars per year). If you were willing to use other online-based programs, some of which are cheap or free, you could get results 90 percent as good for 50 percent of the cost, or even less. But it's not just the monetary investment that's high; Adobe programs also aren't particularly easy to learn. To use the programs with any kind of professional efficacy can take weeks to learn, and one may even need to take classes just to understand the programs' complexity. You've got to start erring toward simplicity of design. This isn't working for you right now, and you will lose business. We use to use Adobe for graphic design back when the programs had a one-time, static price. However, since we were doing mostly graphic design, we started using Canva because it is essentially free and much easier to learn. We now have people learning how to do mid-level graphic design in a matter of hours instead of weeks, and it's costing us next to nothing. "Love the subscription-based service. Constantly finding new features." The subscription-based service allows for new updates and features as they become available, unlike having to pay for version upgrades in the past. I love always getting the new elements of the various programs. Sometimes there seems to be an attempt to cram too much into a program, or creating a new program altogether for something that could've been done inside an existing program. There needs to be a little more rhyme/reason to that screening process on the development end. If you are unfamiliar with basic photo or document editing software programs, then this could seem like a lot to learn. The nuances and tricks of the programs have a bit of a learning curve, but overall, the programs are easy enough to work with, and accomplish the tasks well. I am able to accomplish my job as a graphic designer in an efficient manner. There is a reason this is an industry-standard product. It works well, and the programs/interfaces work together relatively seamlessly. I find the Creative Cloud app itself can be a bit of a memory leak for your Mac. It doesn't need to be running to use your programs so I always try to make sure it's closed when using memory intensive programs like Illustrator or Photoshop. 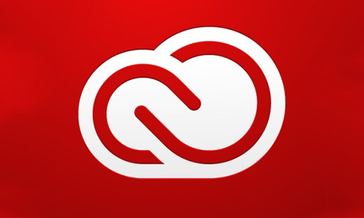 Stay current on updates and take the to watch Adobe's tutorial videos. They package intro's, specific tasks and new features into short, easy to digest videos that will quickly expand your skill and knowledge level. My business runs on Creative Suite - it's my #1 tool like hammer to carpenter. I don't know what I would do without it and the benefits are numerous but mostly what I've stated above - it really keeps independent working creatives current without having to drop thousands of dollars at once every few years. "Adobe Creative Suite - the way to go"
I do not use the entire creative suite, my main go-to programs are Illustrator, InDesign, Photoshop, Acrobat & Dreamweaver. I have experience in Muse and Bridge, but not too much. What I like best is how (most of the time) the programs work so seamlessly together. I do not like how in some programs something works one way, and in another it works differently. It makes it confusing when switching between programs. One example is the Shape Builder tool in Illustrator (which I am super comfortable with) vs. the Pathfinder tool in InDesign (not so much). Sometimes I think to myself, wow if I was in Illustrator I would have had this done 5 minutes ago. Another example is Save As vs. Export in all the programs. It's different in each one, which is frustrating. On a personal note, one thing that is difficult for me is the cost of the entire suite. My current employer pays for the programs, and I am able to have the suite on my personal computer, but if I should switch jobs or suddenly become unemployed, I would have no way of accessing files, and the monthly cost is out of my budget. Also, I have not been able to access the Adobe forums in months. This is super annoying and makes customer service all but impossible for me. All the programs in the suite are the best of the best, and the capabilities are endless. This is a top notch product. Our company is a publishing and marketing firm. I specifically work in the Creative division. I, along with a team of 4 other designers, work in the Creative Suite on a daily basis. The Creative division was only created about 7 years ago, so I believe we have always used the Adobe programs. The benefits are obviously vast, mainly being that all of us work in the same programs and that the programs work well together. "Great Software Suite with Seamless Integration"
The Adobe Creative Suite is by far the easiest solution to anyone looking to migrate away from Final Cut. The applications integrate seamlessly with each other and make the entire post-production process a breeze. I've heard a lot of complaints about the new monthly fee structure, but I personally think it's a better solution. It allows business to work the regular monthly charge into their budget, rather than having to fork over a huge upgrade cost every few years. Plus, as new features are added, they're made available right away rather than having to wait for the next major version release. I've noticed the occasional bug pop up, but all in all, it's a very stable system. Don't be afraid to make the switch from FCP. Premiere even has FCP7 shortcuts built in if you need them. We transitioned to Creative Suite after deciding to move away from Final Cut 7, since it was no longer able to get new licenses, and Apple wouldn't be supporting it in future OS's. The seamless integration with other applications in the suite has sped up our previous workflow which consisted of editing in FCP, adding graphics in After Effects, and mixing audio in Logic. Now we can quickly move back and forth between applications, and all changes are automatically updated. "The next Step in CS"
It's hard to say what I like best, as I have been using Adobe CS for many years and versions now. The ability to add my software to many computers under my license for my use vs having to license multiple computers for use is a huge cost saver. The cloud storage is exceedingly useful for working on multiple systems on the same project(s) and having it integrate directly vs saving to a thumbdrive or an external online service. The usual upgrades and update to the software within the suite, and always being on the newest versions of the software. I do miss "having" the software, as in purchasing the software / license and that be the only purchase unless I choose to update the software to a newer version instead of paying for a subscription to the software. Constant flow of money going out and it just feels more like I'm renting the software. Creative Suite includes everything, or at least nearly, that Adobe has to offer so you may want to ensure you don't just need a specific piece of software such as Photoshop or Acrobat, as getting those individually may be cheaper and easier. Being able to design / modify logos, business cards, signature blocks, edit video footage, edit or create audio tracks, etc in-house instead of paying an outside source to perform these tasks for us. This saves the company money and time, and also allows for a bit more creative control on how things look. "Adobe Creative Suite is So Sweet"
I like the many applications that are available. The learning curve is basically the same across all apps. Learning one app will inform the learning of another. One will understand fast the value of having both Lightroom and Photoshop. The price is a little high for the full package. It might be worth it for professionals, but for the average user, maybe not. If the price is not too much, it is very useful. We all are learning all of the same skills. We find it easy to share tips with each other. I have been using Adobe Creative Suite for a long time and i like the versatility of the softwares, you can have everything from photography editing to sound design, i like the idea of having all the package and that I could work and learn from all of them or at least some of them. it is great for working in graphic design, web design, motion graphic and related areas. There are not many things i disliked from the software, it is pretty useful, it is definitely better now with the CC but some of the thing that annoys me is the price is very expensive, especially for people that work as freelance, or in other countries besides USA it was hard to buy. It is my primary tool for working in graphic design, web design, interaction design and more, the quality depends on the way you use the softwares but there are many resources that you can use to improve and create, it is very adaptable to your needs and resourceful for different projects. "I wish I loved it as much as I used to"
Adobe Creative Suite is the professional choice for desktop publishing, some web design and development work and has respectable tools for audio and motion projects. I am going to review the Creative Suite itself rather than the different programs within it for this review. There is something to say for each of the parts of the Suite by themselves. Learning one program, Illustrator, Photoshop or InDesign helps in learning the others due to the consistent application of similar interface elements and processes. The quality of the software is good. There are many types of files that can be imported and used and many ways to export to usable file types. The software links up with a wide variety of things in the world as well, like printing presses. I love that the Suite has so many programs to investigate. They all work together so having them together is nice. Granted, there is a cost to that, which I address in the dislike section. A lot of things bug me about Adobe Creative Suite. First of all, the pricing structure. No matter who you are or how much you use it, the one monthly price is tough to swallow for some people and once you buy in, you have to stay in to be able to access all the work you have created. Full disclosure, I teach at a university and am eligible for a reduced monthly fee and I still find it to be very expensive. For students, if they need to keep the software on their own laptops, it seems prohibitive; though I like that they have access to all the different programs. I have been using Adobe products since 1988 so I have seen a lot of change in those decades. In the early years I found it difficult to learn the programs. There was a strong push in the early 2000's where it seems that they were focusing on making everything easy to learn, sometimes to the detriment of advanced users. Now it seems like the trend is reversing. Some of the complexity is creeping back in here and there. I notice it a lot when teaching novices who can struggle with concepts behind the interface, like the difference between vector and pixel, that dictates the behavior of the tools. Once upon a time Adobe did a lot of work making all the interface elements appear the same, even in cases where it didn't really work out well. The eraser tool in Photoshop and Illustrator is one example. In Photoshop it erases pixels taking them away the way a white board eraser does. In Illustrator the eraser redraws the vector shape. It doesn't make sense as an eraser. Now there seems to be a willingness to experiment with the interfaces of the programs. The way Photoshop moves an image within a window, sliding to a stop rather than adhering to the movement of the mouse or stylus is novel and sometimes annoying to me. Acrobat has an entirely new interface that is completely different from the old one and from any other Adobe product. Every time I open it I struggle to get my bearings, in a program that I love and use a lot for things that Adobe apparently does not think are important to support. I've had trouble using the downloading feature to update programs. It seemed confusing. I didn't know if I was downloading what I wanted or if it had worked. Since I use this for work, frequent downloads of new software feels like a distraction I would like to have control over and, more importantly, do not want to have interfere with my progress or negatively affect my deadlines. Another thing that I don't like much is the reliance on the Bridge. I avoid it in favor of keeping track of my files, organizing my work and having a plan to not lose things. Part of the challenge for me is carrying my files from place to place for teaching classes in different computer labs that do not allow access from outside. I know that one day operating systems will abandon the hierarchical file systems we use now and the Bridge will then become more valuable to me. In the meantime, I don't really get any real benefit from the Bridge and I don't teach students to rely on it either. In our labs the operating systems reset to a default on every restart so anything in the Bridge would be lost (I assume but haven't tested it). And why do I need to dismiss a window with an ad on it in order to work. Every time I have to do that I am disgusted. If the software was free then maybe. It adds a step, distracts my focus and stops my files from opening so I have to open them again. I do not remember what those ad screens are about at all. So Adobe has annoyed me for no practical reason at all. The new workspace presets do not work for me and especially they don't work for students. It is so confusing for the interface to remove things and not be able to get them back the same way. This might be in the way my school installs the programs that makes it worse but I can't tell by looking at it and if I can't tell I can't get it fixed. I say Adobe Creative Suite is not headed in the right direction at this point because it seems to be in a bit of chaos. At some level I really love the entire world of tools Adobe has created. Maybe that makes me more critical than I might otherwise be. I find myself often saying, "apparently Adobe thinks this is an improvement. In my opinion, Illustrator 10 was as close to perfect as it ever was. Ever since then, it seems like the features I rely on, like the drawing tool - the fundamental process in the program, have been compromised while marginally interesting features have been added. Making the programs harder to use feels like a choice that must be made. When they were getting easier to use I always felt like Adobe did not care about me, an advanced user, much. Now it seems like they focus a lot on things that don't really improve the programs; things that they can talk up but who cares. What would I like? What would I think is the right direction? Effective tools that work, not break something to add something new. Don't change keyboard shortcuts if possible. Relearning a shortcut has taken me years to get right once it is changed. More friendly pricing structures. "Profesional pakage with a lot of the stuff you need"
it has a good range of tools to help create and polish visual media. Can be used for still and video imagery with simaler tool sets. there is so much there it is a bit hard to know where to start. other than that is it was it is. we use it to finish visuals and create motion graphics also in house graphic designers us it for branding materials and asset creation. I would recommend the creative suite to any designer like myself. It's really the only option when it comes to these programs. However, the monopoly on the design market means that we are paying a ridiculous amount of money. I can either subscribe to two assets (in my case Photoshop and Illustrator) for $40 or buy the entire suite for slightly more. I miss being able to invest in software for the year. The only real perk is the constant updates - but it also feels like Microsoft Office with all those constant updates. (Every one is "critical" and you're getting update notices when you log in every time). It can also be a little difficult to learn the new functions. "The best suite for photographer and designers"
"Great bundle of software that any agency would benefit from"
This has everything you need in terms of a design agency with Photoshop, Illustrator, InDesign, Dreamweaver and more. And now it ties in more options like Brackets and Typekit to help with different solutions. Pricing is a little high and the load times for all the programs are super slow. Updates seem to be lacking quality builds. Adobe has a great suite available and they continue to add more and more products to it that are only going to benefit what the other software is missing (Experience Design, Brackets, etc). They'll keep improving their products and their new ones will be amazing. Better collaboration with our whole team using the creative suite (creative cloud) we've been able to share libraries and branding across the team. "Best creative software package on the market." This software package has something for all creatives, novice and professional alike. I am a professional photographer by trade with a strong interest in cinematography. I have almost all of my professional needs met using this software bundle. I could not do a single thing that I do on a day to day basis without this software. Photoshop and Lightroom are programs that I would mourn dreadfully if I could no longer use them. They are an essential parts of my day-to-day work. I do not know what I would do without them. To be completely honest the software itself is wonderful. The pricing package leaves something to be desired. What I would love to see is the reintroduction of the "bundles" that previous versions of Adobe software were broken into. While I personally find the cost worth it because I use it for my every day work, I can definitely see where it would be a barrier for many people. When considering a Creative cloud subscription be careful to evaluate your needs. The software is honestly quite pricey and unless you have the need for more that 3 pieces of software I would pause to consider whether its worth the cost. I find it to be extremely useful and worth the cost but I can definitely see where it can be a burden as well. My professional life would come to a standstill without Adobe Creative Cloud. Lightroom and Photoshop are my primary tools every day and they help me produce work in a timely, efficient manner.